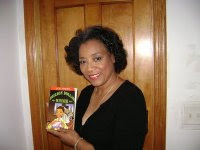 Arlene Jones - Featured Columnist Austin Weekly News: SUPPORT THE MOST POSITVE BOOK WRITTEN ABOUT THE WESTSIDE! SUPPORT THE MOST POSITVE BOOK WRITTEN ABOUT THE WESTSIDE! I am asking for your help to make this book a bestseller. I have books for sale and will personally autograph a copy. Please give a call at 773.622.3863. Thank you. Also visit Sankofa Cultural Center at 5820 W. Chicago Ave. They have the book for sale and the books are autographed. My mom received your book 2 days ago (she is 82 years old). She read the whole book in one sitting! She said to tell you to make sure to send her the next one, she absolutely loved it!!!! !